"It's a group where a Muslim sister gives a gift to a Christian sister on a Hindu festival. Where else would you find such solidarity and love that is not defined by religion, race or national origin?" 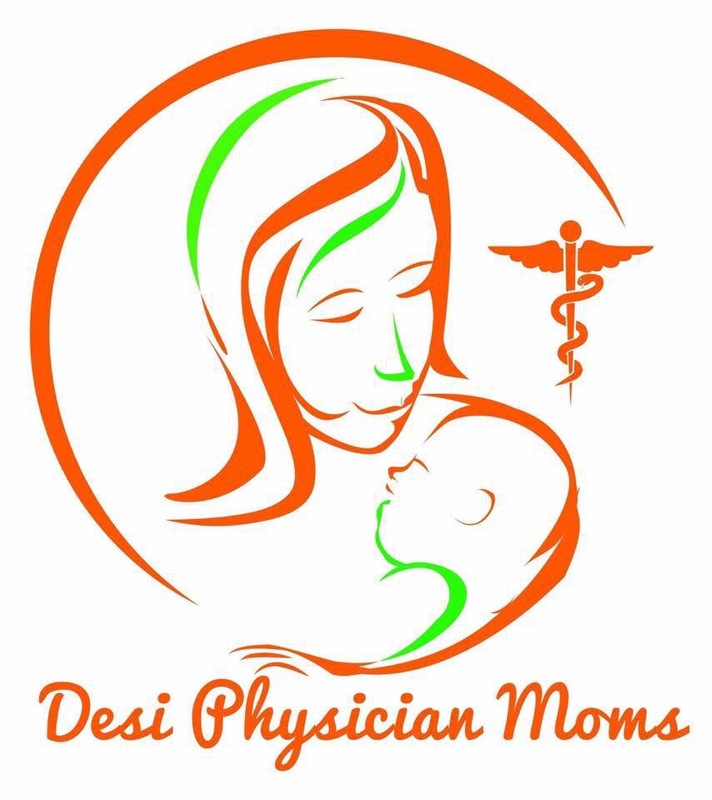 Desi Physician Mom: by definition a woman with very little time for social media. I choose to spend my time with my DPM sisters. Why, you ask? Well, DPM has a unique combination that fills a space in my life. It opened a window into the lives of these accomplished people who not only care for the sick but are artists, entrepreneurs, poets, dancers. They have shown me the richness of the diversity of Desi life which as a Odia girl raised in the States I did not have. The platform of DPM gives me access to activism in an area close to my heart:women’s rights. As a mother of daughters I use DPM as more rich examples of what my daughters can do in the future. Unlike other groups I truly feel the members are inclusive and not cliques. Women live longer and better with good female friends to rely on. I feel I found this in DPM. People share their hopes, fears, dreams and determination. DPM is worth every minute of my precious time, so I keep coming back. Growing up I always missed having a sister, wanted someone “like me” to share small and big things, laugh together, cry together and grow together! Thru DPM I found that sisterhood I was looking for! Interacting with you, my sisters, I realized that though we didn’t grow up together, we share many things in common, going through similar phases in life, facing similar challenges, we understand each other so well both at personal and professional levels! Thank you, DPM for everything! May you continue to grow! God bless! Hello to all sisters and would be ones. I have been part of this amazing family for little over a Year. I can’t really recollect which one of my amazing sister got me introduced to this group… I accepted the request without even knowing that I will get so addicted to it. My husband often complains that I spend more time on DPM then I do in anything else ( even him ). The reason why I love this group are too many to list. #1 it brings out the college girl back in me , where I can have a chilled conversation like back in those days. #2 in this busy competitive world it gives me moments of pure bliss , when I can relax .. reading experiences of like minded busy professional moms. Making me believe it’s not just me feeling this but everyday there are so many more sisters like me who are striving morning till night to be a good -mom , wife , doctor , friend, daughter and also DIL. #3 it helps me motivate to lose weight, keeps me pumped up by seeing how others are doing. #4 helps me get important advises be it for cooking, buying a household item , second opinion on any disease or job related issues – the list is endless. #5 even though I have never met personally- it has given me an opportunity to bank on so many supportive sisters- I have seen everyone including admins fighting for a sister in need or raising finances for her and it always gives all of us strength to be together in good and bad times. The list and testimonial can go forever but all I can say is… this has given me a medium for me to be pure me, without worrying about what others are going to say or think. I am with others like me who understand my daily joys and pains. Hi wanted to write what DPM means to me, I joined DPM last year and it has been an amazing journey with this group of intelligent warm gorgeous women! I have learned new things and come back to old passions!! I have made new friends and regrouped with my family! Love you and looking forward to seeing you all at the retreat this year!! I truly feel at loss of words to describe my connection with DPM. It has provided such a strong platform for discussing personal/professional issues and hearing from so many friends, who “just get it”. It’s so funny that at times I’m thinking to post something and I would open DPM and find another Mom ranting about the same exact thing. Gives a feeling of companionship (and sanity ). @Vidya is such an honest and altruistic friend. All the admins amaze me by their level of commitment to keep the group productive, funny and supportive, while keeping the drama out! DPM has truly helped my own personal development, while helping so many friends. Thanks DPM! For me DPM is all about love. I have been in solo private practice for the past twenty years and really miss the camaraderie of like minded female physicians. My loneliness has been compounded by the fact that I live in a relatively remote area and my busy lifestyle has made it difficult to have meaningful relationships. The best part of DPM is that I can access it at my convenience whenever I have the time. In general, I feel that the Desi community tries hard to put on a show of being perfect families devoid of any problems. To my surprise, the sisters on DPM are very open about sharing their everyday joys and sorrows. I also feel that the responses are genuine and heartfelt. DPM has filled my heart with the sisterhood that I have been searching for. Whenever a sister is struggling, the other sisters jump right in to offer their advice. Similarly, everyone is equally happy to cheer on each other’s successes. I am grateful to Vidya and the other admins for starting this organization and for their tireless commitment. May DPM continue to grow and flourish! As the ancient sanskrit scripture says: ayam bandhurayam neti ganana laghuchetasam udaracharitanam tu vasudhaiva kutumbakam. I am proud to be part of DPM Family. DPM inspires me everyday with deep thoughts and strong words. DPM brightens my day with witty posts and funny jokes. DPM strengthens my body with fitness challenges. DPM Bazzar brings Desi clothes and ornaments to my door step. DPM brings out my creativity and motivates me to cook every day. DPM makes me feel young and beautiful. I have been a member of DPM for the past 2 years, and it is no exaggeration when I say that this group and its extraordinary admins have literally changed my whole life and still help me with everyday struggles. I was a devout Hindu, and had strong reservations about divorce even though I was in a loveless, controlling relationship for over a decade. I used to hush my inner voice whenever I felt like standing up for myself in abusive situations. At one point, I saw that my 2 year old daughter suffering and I could see that affect her adversely as she grows up. It was at first unbelievable but Vidya spent countless hours and days talking to me out of my delusions . She painstakingly explained to me day by day the dangers of staying in an abusive marriage, it’s implications on my growing daughter, and finally I was strong enough to file for divorce. Things only got worse at that point until Vidya helped me literally escape from that hell house one night, with nothing but my daughter in my arms. The admins texted me with legal advice day and night for days at a stretch until they felt my lawyer was handling it well. They continued to guide me through my provisional hearing during which I won the child’s custody. They did not stop there. DPM did a fund raiser for my cause and raised a large amount which has taken care of my expenses for the past several months when I was struggling with a lot of new and unexpected expenses. My divorce is still dragging on for several reasons, but the admins always make sure they check on me every now and then, especially at times I really need them. I am unable to understand how women like me with full time careers as physicians, and as mothers and wives with families to take care of, can devote so much time, energy and effort for helping total strangers! I bow down to their dedication, hard work, enthusiasm, and above all – optimism, at a time when we are going through even turbulent times as a nation and certain nationalities. It gives me great pleasure to say that DPM is unparalleled in its vision, it’s leadership, it’s members and it’s day to day work literally changing thousands of lives.